We are living in an age of technology and information where the Internet exerts a powerful influence over our work, our personal lives, or for that matter, the entire world. The Internet is no longer an exclusive tool reserved just for the elite few and has an extensive reach that is far beyond that of any other modern mode of communication. More than 3.26 billion people used the Internet for various purposes as of December 2015 – that is over 40% of the world’s population. In short, the Internet is the current global melting pot, where different types of people and ideas come together every single day. It affects social behavior, shapes political perceptions, changes lives, determines success and failure, and propels the global economy forward. Directly or indirectly, it is responsible for trillions of dollars in annual global revenue. The Internet does not sleep, and if the current trends are anything to go by, its popularity is only slated to grow more with each passing year. With the Internet being such a huge force to reckon with, a sound knowledge of how it works and contributes to the world economy is essential if you want to keep yourself aligned with the changing trends, make informed decisions, and use the Internet to its maximum potential so that it can help you drive your business further ahead on the road to success. As the year draws to an end, here are some top Internet and eCommerce statistics and facts that can change the way you think and work. For example, did you know that Asia, with more than 48% of global Internet users, accounts for the most Internet users as a continent? Or that Bermuda, at 97.75%, has the highest Internet penetration in the world? 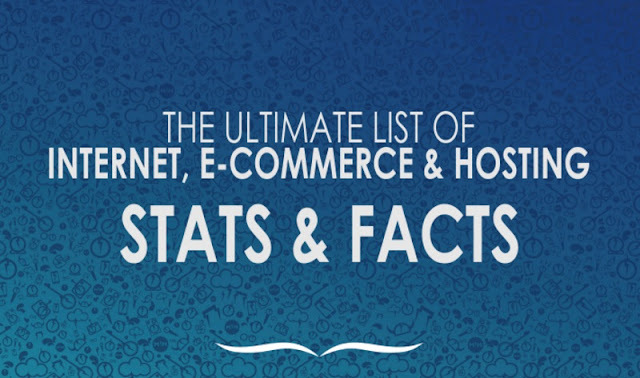 Hosting Facts has come up with an infographic with such more interesting facts about internet. Don’t forget to check this out!